As the nicer weather makes an appearance again so does the Coca-Cola #ParkLives sessions. Make the most of your local (or not-so-local!) by checking out the various activities #ParkLives has available. It's a fun way to get outside and enjoy the weather, or encourage your children to try new activities. 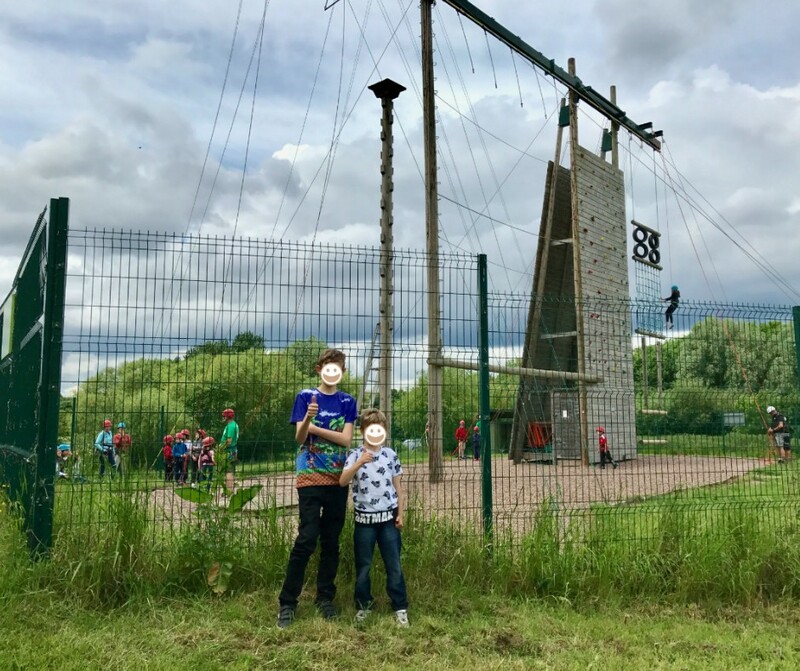 This year my boys were invited to Colwick Country Park to try out High Ropes. 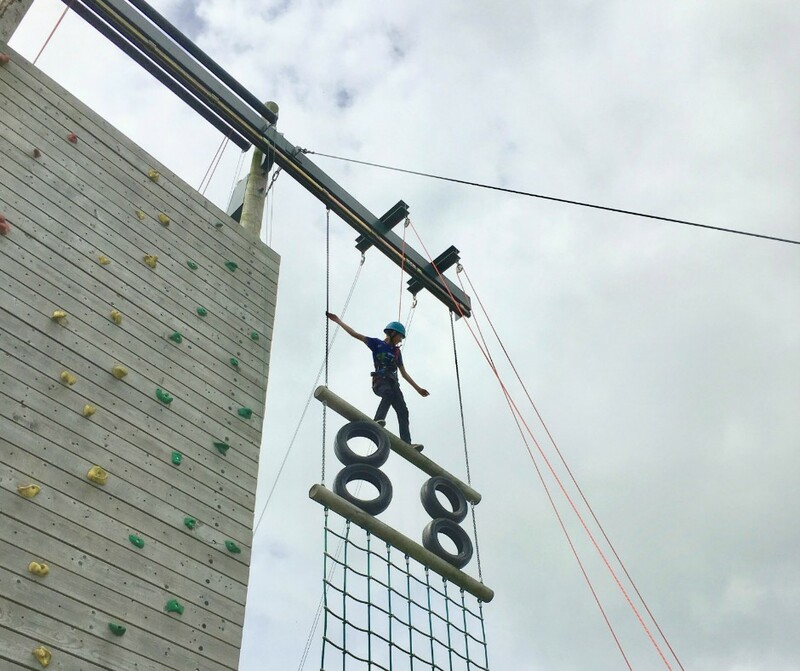 If you've never heard of, or seen, it before High Ropes is an adventure where you get to climb and jump high in the air while secured with ropes. 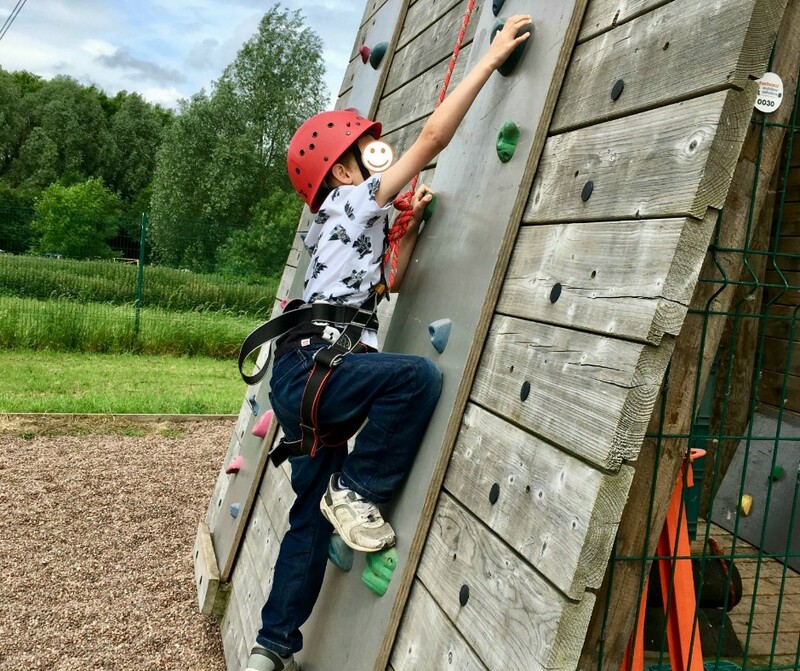 Genuine climbers help the children with their ropes and ensure they are safe at all times. 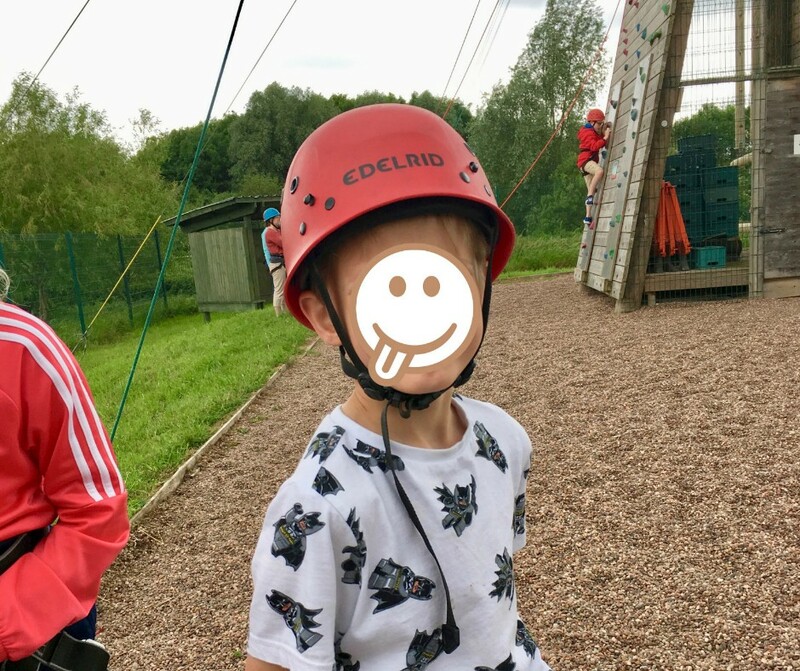 High Ropes is something my boys have never tried before and when I first heard of it I wasn't sure it would be something they'd enjoy. They're both a little unsure about heights but I figured it would be a good challenge for them. I have never been to this part of Nottingham before but we followed a map and found the park. When we entered I wasn't sure where to go but there was a lovely helpful lady at the entrance who pointed us in the right direction. Arriving at the adventure park we saw it was already quite busy and we were ahead of schedule. The climbing had already started because it was so busy. Our time slot was 12 - 2:30pm but the organiser told us they'd started early because some parents wanted to try it out. Speaking to the man there he said he would recommend booking to ensure you get to have a go. If you just show up you may not be able to try it out. After the man helped the boys into their harnesses we headed outside and waited in a queue because the first thing the boys wanted to try was the "Leap of Faith". This is basically a big pole in the ground that you climb up. It has a platform at the top that you stand on and then you jump while reaching out to grab a swing-type thing. As I stood on the ground and looked up I thought "there is no way you'd get me on that thing! ", but the boys were excited to try. 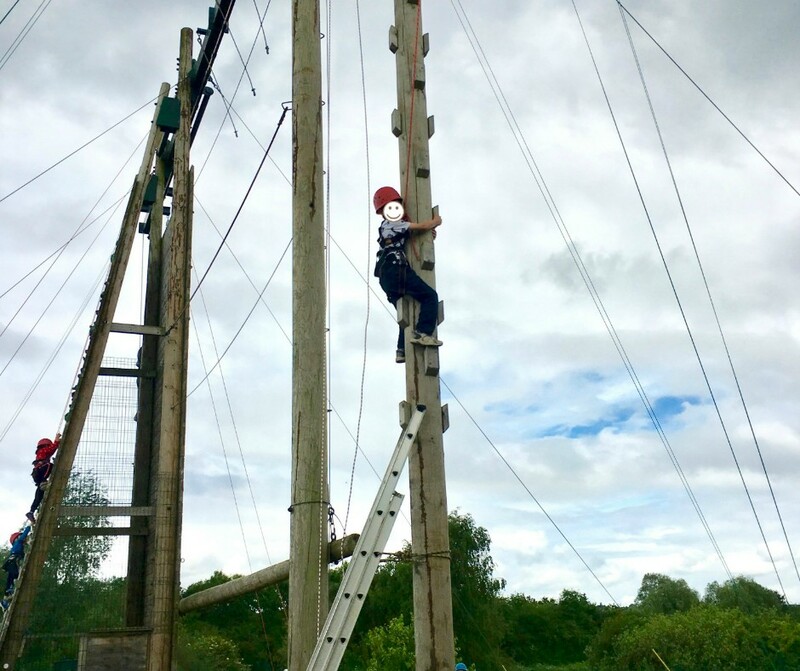 LP confidently headed up the ladder and reached out when he got to the top of the ladder. Unfortunately he only managed a few steps before he realised he was a little too small to be able to reach the grips. He wasn't confident enough to stand on tip toes and reach up so he decided to move on. BP on the other hand took it all in his stride. He climbed the pole, taking breaths on his way up, and heaved himself up onto the platform at the top. 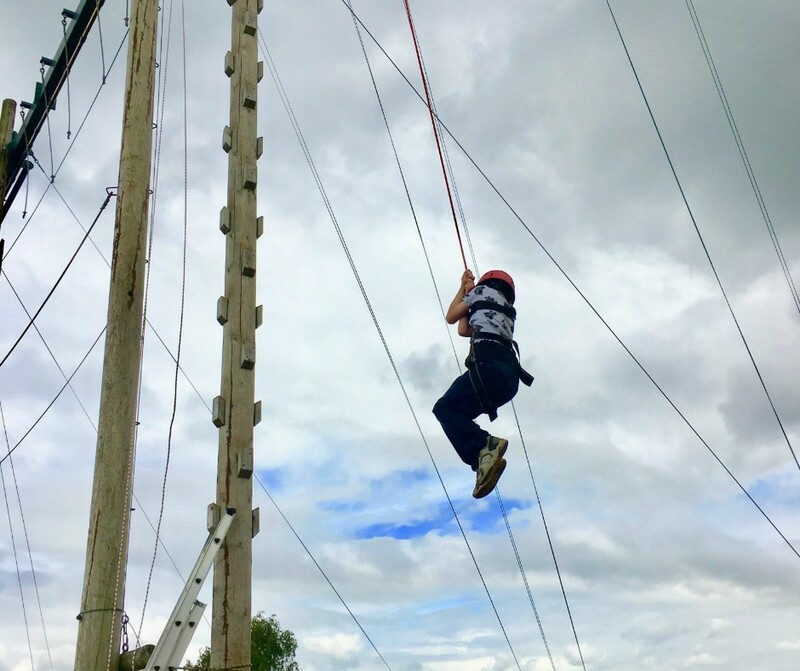 I honestly didn't think he would get to the top, he's scared of heights and I thought he would give up half way up the pole but he was determined to do it. As he stood on the platform and looked at where he needed to reach out to I could see the terror and concern on his face. I shouted encouragement and hoped he would do it. And then he just jumped, reached his arms out and gripped the swing! Everyone cheered and I could tell he was so proud of himself. 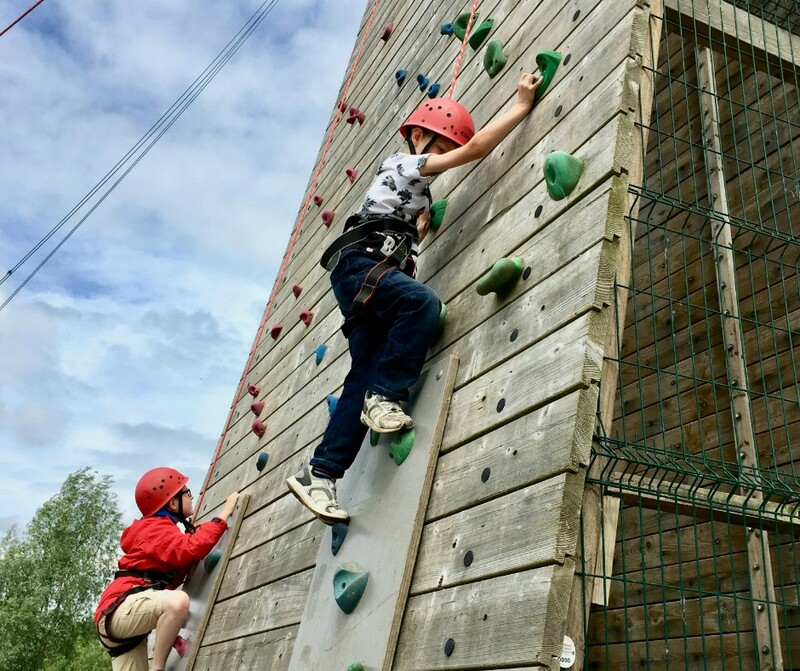 After the success of the Leap of Faith the boys wanted to try the climbing wall. Again there was a little waiting but it didn't deter the boys. LP found this a little easier and although he was very nervous climbing up he listened to the helpful lady and did what she advised. When he was standing on the ground he told me his target was to get up to the top of the board. Even after reaching the top of the board he went further, and still when he thought he couldn't do it anymore he continued to listen and try. In the end he got about half way up the climbing wall. LP didn't particularly enjoy coming down the wall as he kept slipping and swung around the side of the wall. He bumped himself on the way down too. I think maybe the fact that he was quite shaky didn't help. 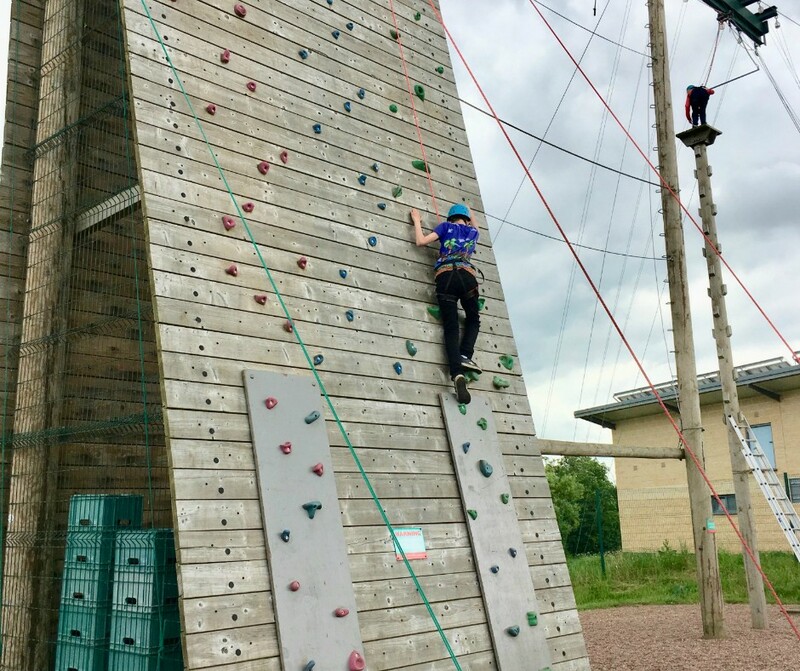 BP enjoyed the climbing wall because he could reach quite far which meant he had a choice of grips. 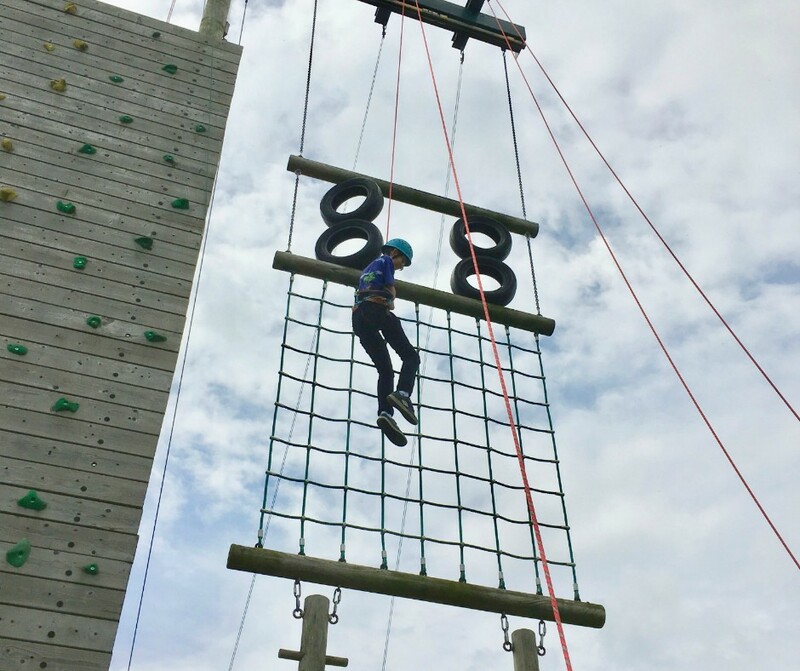 He climbed fairly easily but did mention that having such big feet made it a little more difficult. He felt like his feet were going to slip off because he was standing on his toes. He also mentioned his shoes may not have been the right choice, they were a little slippy. Despite his issues BP almost reached the top of the climbing wall. He enjoyed coming down too! On the opposite side of the climbing wall was an adventure climb consisting of a rope wall, steps, and tyres. The boys couldn't wait to try it out. As they watched other children climb up the adventure climb they were a little concerned that it wobbled about a bit. The people there told them there wasn't much movement at all and there was nothing to worry about because it could only move a little. 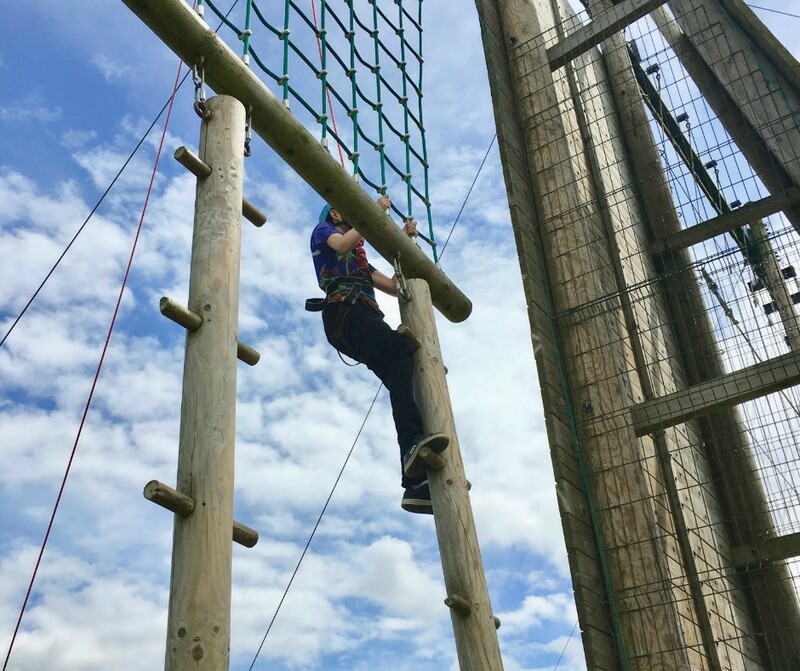 BP was up first on the adventure climb and he started out well but as he got to the top of the ropes he faltered. He said he wanted to come down. But the man that had hold of his ropes was having none of that. He shouted out to BP to try. He told him all he had to do was reach up and pull himself up one more step. So BP did that. Then the man said all he had to do next was step up onto the first tyre. BP did so. Again the man told BP the next step and BP listened and followed instructions. I was so proud watching BP climbing. 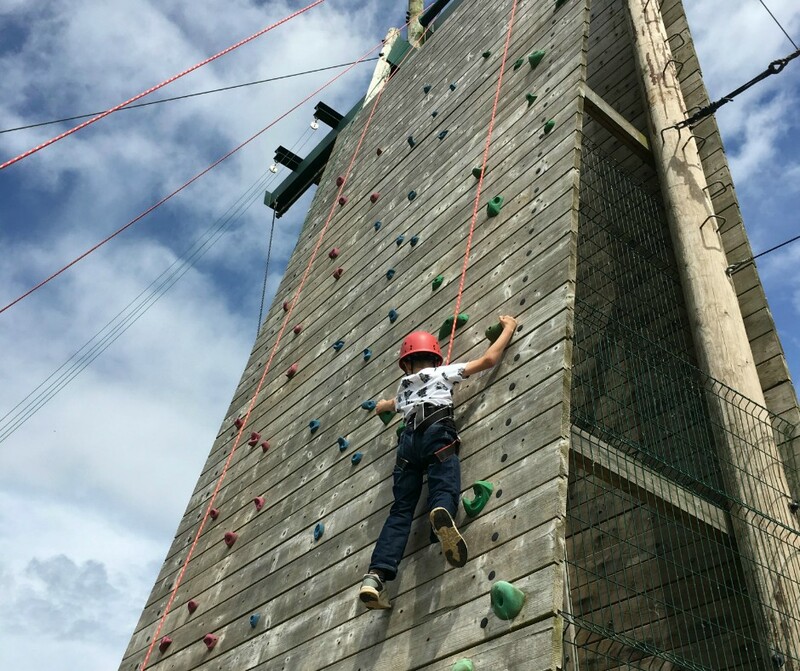 He even managed a brave step at the top where he moved from one side to the other with nothing holding him - he did this to make his dad have a go! LP was quite nervous trying this out because of the movement, especially when his dad began climbing next to him. With a little encouragement he continued his climb and the man holding the ropes did help a little too. At the top of the ropes LP paused too, he wanted to quit. But again the man shouted out encouragement just the same as he had with BP. 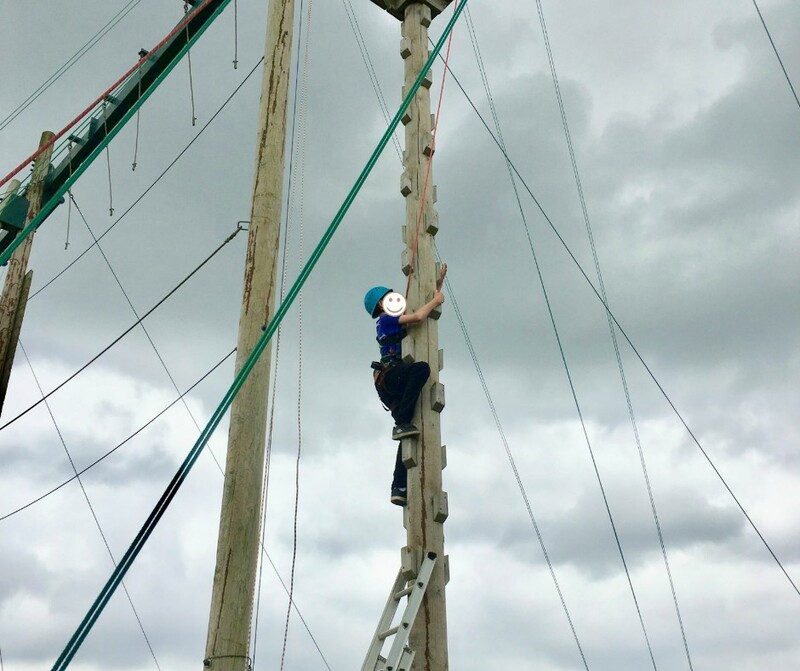 LP listened too and he too managed to climb all the way to the top of the adventure climb. The Hubby wasn't going to try out the climbing but after BP managed to get to the top he decided to give it a go. He mentioned that while he's not really scared of heights the climb was harder than he'd thought. It used muscles he doesn't normally use. The other thing he mentioned was the jump down from the top, he said that was the scariest part because that's when you're trusting the equipment to hold you! Do watch my video, I think it captures the whole morning really well. I was never going to try this out but I was so proud of all my boys! The boys were challenged. Despite their reservations both LP and BP managed to achieve something they didn't think they would. Encouragement from people there. 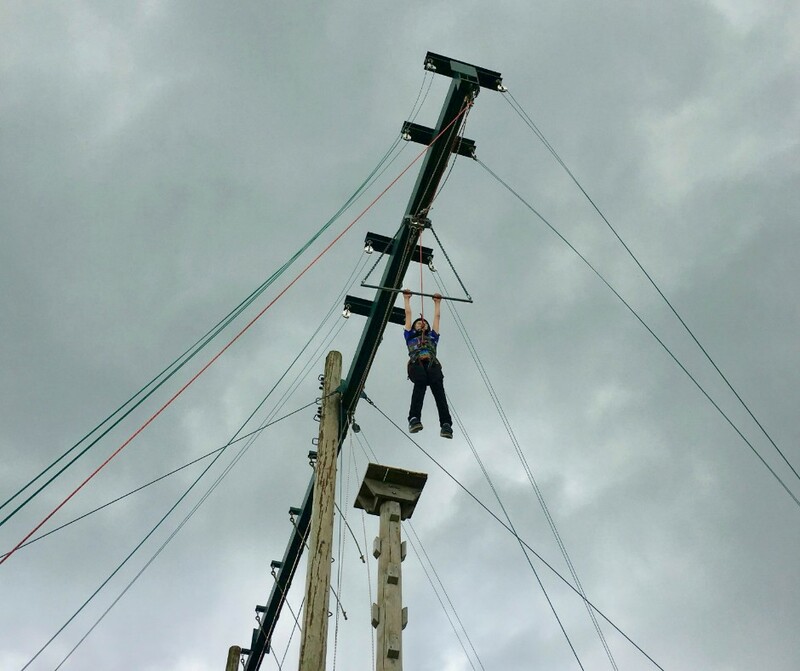 Not only was there encouragement from other children there but the climbers who held onto the ropes were brilliant. They shouted encouragement or instructions to the children in a way that made them keep trying. They had such a great way of talking to the children and I know that made a big difference to the boys. A fun morning. The whole outing took about 1 1/2 hours, after their adventure climb the boys decided they'd had enough, but if we'd wanted we could've stand for another hour. It's not something that will take all day but it is something the children love and can leave with a great sense of achievement. The boys came away feeling good about themselves. The were both proud of themselves for having climbed higher than they thought they would. They have both mentioned trying it out again. 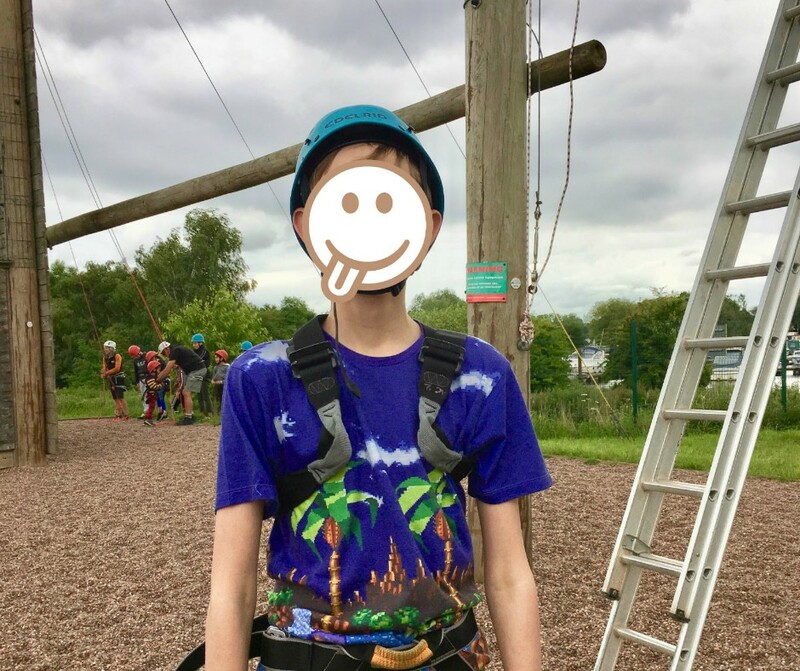 Something like High Ropes is great for kids, particularly when you have wonderful organisers who have a great way of communicating with children. 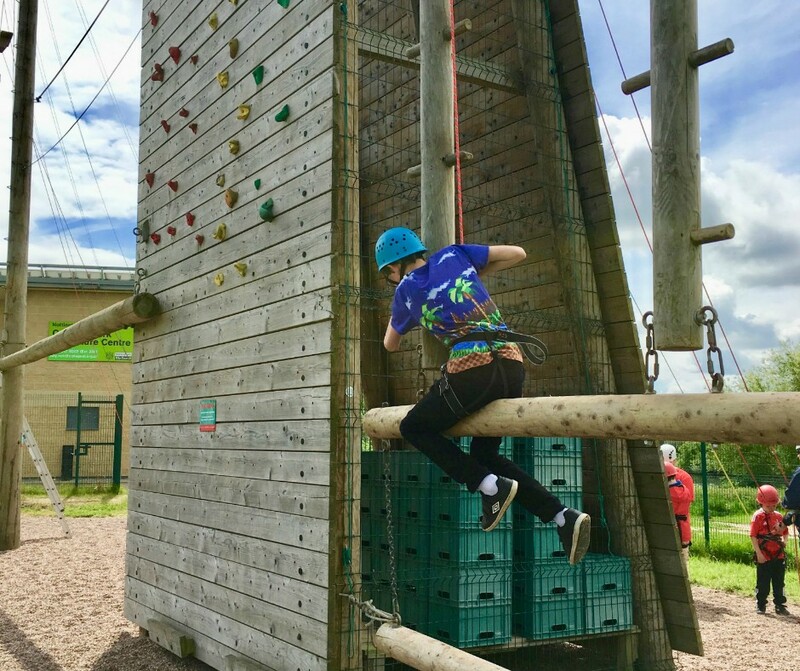 In Nottingham there are lots of other activities to take part in too, including Sunrise Yoga at Forest Recreation Ground, Beginners Nordic Walking at Wollaton Hall Gardens and Deer Park, and Buggy Fitness at Southglade Park, Vernon Park, and Melbourne Park. Coca-Cola's #ParkLives is a great project and all activities are free, AND it doesn't just run in Nottingham. Be sure to check out the website to find out when and where your local activities are. 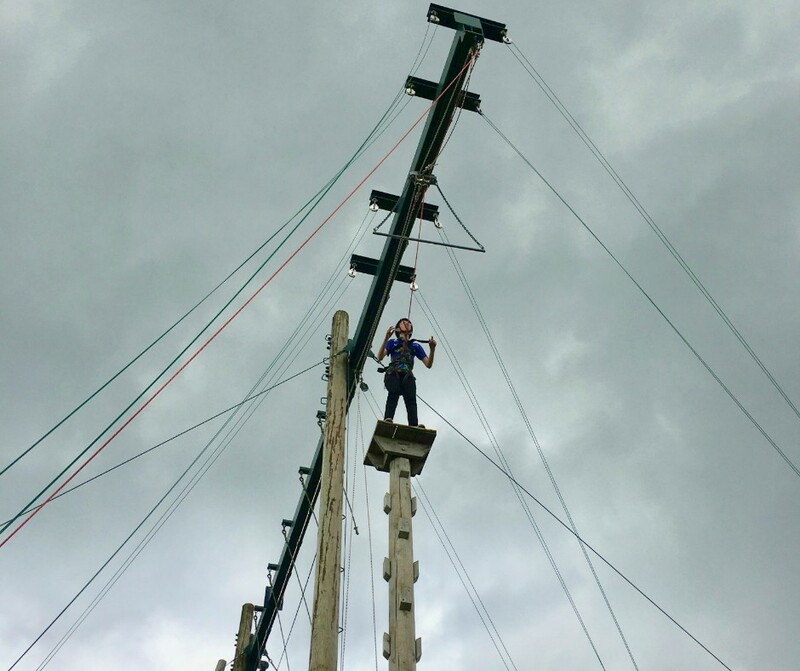 I was far too much of a scaredy-cat to have a go of High Ropes. Would you give it a go? 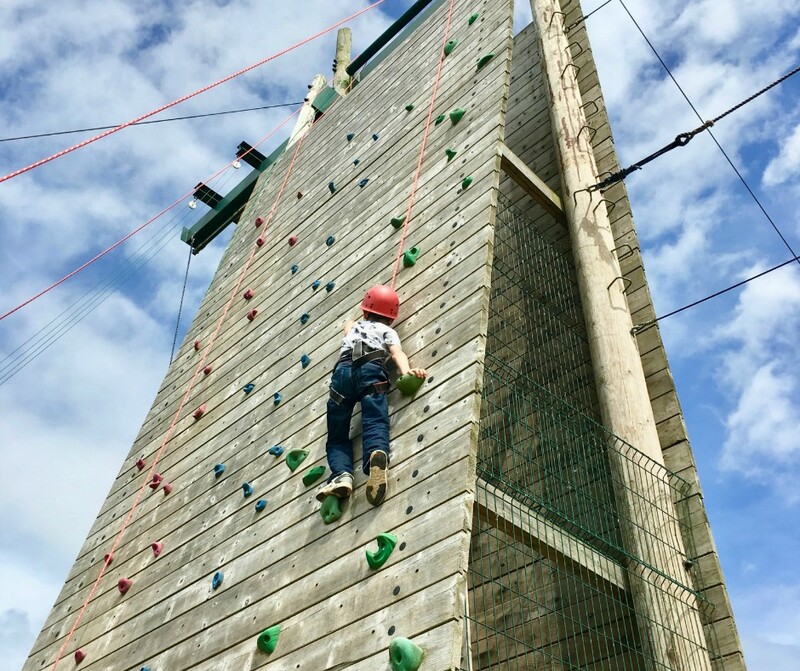 I love places like this, we used to take the kids a good few years ago when it wasn't as popular and didn't cost a small fortune to take part in, although i do remember the one child 30ft up a tree saying he'd lost one of his clips, the instructors just yelled, be careful and don't fall. I guess the price increase is to do with H&S. I've also been on these ropes as an adult without the kids and thoroughly enjoyed myself. How cool is that?? The sense of achievement had to be truly wonderful :) I love that LP kept on going even when he didn't think he could.